Celiac Disease Foundation (“the Foundation”) respects the privacy interests and preferences of our website visitors. We are committed to full transparency in outlining what information we collect about visitors, how it is used and how you can opt-out of those programs if you so choose. When you are making a donation, purchasing a product, submitting an inquiry, utilizing our online tools, completing surveys or subscribing to our eCommunications, the Foundation asks you for personal contact information such as your name, mailing address, phone number and email address. We may use this contact information to provide you with a receipt or financial report; to contact you to clarify or obtain information about an order you placed or a donation you made, to respond to an inquiry, to provide you with requested information or documentation, or to send you additional information about the Foundation or opportunities we think may be of interest to you. If you make a donation, we may contact you from time to time to thank you for your gift, to offer you an opportunity to volunteer or attend an event or to make another gift. We will always give you the opportunity to opt-out of future communications from us. Personal contact information may also be shared with certain vendors, i.e., reputable companies we use for services such as fulfilling donation gifts, shipping Foundation products or sending Foundation mail, or providing technology, services, data analysis, research, advertising and marketing assistance and/or content for the operation and maintenance of the Foundation Web Sites. This includes companies on whose behalf the Foundation collects your personal contact and health information when you sign up to participate in a clinical trial, research study, or focus group. We have confidentiality agreements in place with all such companies to protect your privacy. The Foundation discloses personal information to third parties in aggregate form, that is, in a manner that cannot be traced back to you. For example, symptoms assessment information may be shared with third parties to advance celiac-related research conducted alone or in collaboration with other organizations or individuals, or the Foundation might tell a sponsor how many males between 20 and 30 years in age have visited the Site over a period of time. In these cases, information is only provided after personally identifiable information such as name, address, telephone number, or email address has been removed. We want to be very clear: We will not obtain personally identifying information about you when you visit our site, unless you choose to provide such information to us. Providing such information is strictly voluntary. Except and to the extent that the Health Insurance Portability and Accountability Act (“HIPAA“) Privacy Rule applies to any health-related information you provide to the Foundation (in which case such HIPAA Privacy Rule governs), the privacy laws of the State of California will govern. We will retain your personal data for a reasonable period of time as long as the purpose exists for which the personal data have been collected or longer if required by applicable law. In addition to personal contact information, we ask for billing information, such as your billing address and credit card number, when you make a donation or purchase a product. We use secure servers to gather and process your billing information. These secure servers are hosted by our agent, Salsalabs, which is bound by our site policies. Your billing information is not shared with any other organizations, and your credit card number is not retained once your transaction has been authorized and processed. In some instances, we ask for contact information for people other than yourself including, for example, email addresses of friends to whom you send e-cards or a copy of one of our Web pages, or the mailing address of someone you wish us to notify of a donation you have made. The information we collect is used to send the donation notification or information you requested and/or to inform the recipient of the opportunity to subscribe to receive Foundation updates and opportunities to get involved. Such contact information is not shared with any outside parties. If you wish to opt out of future eCommunications from the Foundation, you may contact us at the address and email address below. Also, with the exception of credit card numbers, which are not retained, you can view and request changes to all the information you have given us, including any mailing lists you may be on, by contacting us. In addition, if you have subscribed to Foundation eCommunications, you can unsubscribe by clicking on the Manage Subscriptions link featured at the end of the communication. The Foundation does not collect any personally identifying information from you when you visit our website unless you choose to provide such information to us. You can browse the Foundation website without telling us who you are or revealing any information about yourself. The information we gather during normal browsing comes from two sources: (1) standard server logs collect information such as the IP (Internet Protocol) address, domain name, browser type, operating system and information like the site that referred you to us, the files you downloaded, the pages you visited and the dates/times of those visits; and (2) if you have come into the website from one of our newsletters or from a site that has requested a link, we will ask your browser to accept a “cookie” (defined below) that carries a general marketing source code with you as you browse through the website, in order to help us match referring sites to donations made. This cookie does not capture or hold any personally identifying information about you, and is deleted when you end your session by leaving our website or closing your browser. We are committed to protecting the privacy of children. You should be aware that this Site is not intended or designed to attract children under the age of 13. We do not collect personally identifiable information from any person we actually know is a child under the age of 13, unless authorized by a parent or guardian. you also have the right to transfer your personal information to another service provider, where this information is processed on consent, and following your written request to us, we will provide you with your relevant personal information in a machine-readable format to transfer to another service provider. To exercise these rights, please contact our Data Privacy Officer at: marilyn.geller@celiac.org or 818.716.1513, x102. If you wish to raise a complaint on how we have handled your personal information, you can contact our Data Privacy Officer who will investigate the matter and respond to you promptly. If you are not satisfied with our response, you can complain to any competent data privacy authority in your country of residence. General. This World Wide Web site with its home page in the domains “celiac.org” and “celiac.salsalabs.org” (the “Site”) is a complimentary information service offered by Celiac Disease Foundation (“the Foundation”) at no charge to you as a user of the World Wide Web, with the express condition that you agree to be bound by the terms and conditions set forth in this User Agreement. The Foundation reserves the right to change these Terms and Conditions any time, and you must consult the most recent version of this User Agreement and Terms and Conditions (not an older cached version) each time you view the Site. Do not use the Site if you do not agree to all of the following terms and conditions. Representations and Warranties. You acknowledge that the information on the Site is provided “as is” for general information only. The Foundation makes no representations or warranties of any kind regarding this Site, including but not limited to any warranties of accuracy, completeness, currency, reliability, merchantability or fitness for a particular purpose, or any warranty that these pages, or the server that makes them available, are free of viruses or other harmful elements, and all such warranties are expressly disclaimed. Indemnification. You agree that you will hold harmless the Foundation and its officers, directors and employees from all claims arising out of or related to your access or use of, or your inability to access or use, this Site or the information contained in this Site or other websites to which it is linked, including but not limited to claims that you have found something you have heard, viewed or downloaded from this Site or another website to which it is linked to be obscene, offensive, defamatory, or infringing upon your intellectual property rights or the intellectual property rights of a third party. In no event will the Foundation or the contributors of information to this Site be liable to you or anyone else for any decision made or action taken by you in reliance on such information or for any consequential, special or similar damages, even if advised of the possibility of such damages. Opinions/Recommendations. You acknowledge that opinions and recommendations contained in this Site are not necessarily those of the Foundation or endorsed by the Foundation. Linked Sites/Third-Party Content. These Terms and Conditions apply only to this Site. The Foundation may provide links on the Site to other websites which are not under the control of the Foundation. These links are provided for convenience of reference only and are not intended as an endorsement by the Foundation of the organization or individual operating the Site or a warranty of any type regarding the Site or the information on the Site. Under no circumstances will the Foundation be held liable, directly or indirectly, or any loss or damage that is caused or alleged to have been caused to you in connection with your use of, reliance on, or any content, goods or services available on any other website to which this Site links. You should direct any concerns to that website’s administrator. Governing Law and Jurisdiction. This Site (excluding linked sites) is controlled and operated by the Foundation, which is headquartered in the State of California, United States of America. It can be accessed from all 50 states, as well as United States territories and other countries around the world. By accessing this Site you agree that any action at law or equity arising or in any way relating to this Site, shall be filed only under the statutes and laws of the State of California, without regard to conflicts of law principles thereof. You also agree and hereby submit to the exclusive personal jurisdiction and venue of the Superior Court of the State of California in and for the County of Los Angeles, and the United States District Court for California with respect to such matters. CDF makes no representation that materials on the Site are appropriate or available for use in other locations, and accessing them from territories where their contents are illegal is prohibited. Those who choose to access this Site from other locations do so of their own initiative and are responsible for compliance with local laws. As between you and the Celiac Disease Foundation, all right, title and interest in and to the Site and any and all materials and information on/in the Site, including without limitation the Healthcare Provider Directory design, text and images together with all intellectual property rights embodied therein (collectively, the “Site Materials”), are the property of the Foundation. The Site and Site Materials are protected by law, including but not limited to U.S. and international copyright law, trademark law, trade secret law, as well as other state, federal, and international laws, regulations and treaties (collectively, “IP Laws“). The Foundation does not claim any rights in unaltered government data. You agree not to engage in any activity that would constitute copyright infringement with respect to the Site Materials, including without limitation the Healthcare Provider Directory, Symptoms and Conditions Checklist and their respective methodology. You acknowledge that the Foundation selected, compiled, arranged and adjusted data and information regarding Healthcare Providers and Symptoms and Conditions Checklist are original compilations (as defined by the 1976 Copyright Act, 17 U.S.C. § 101) containing material wholly and exclusively original to the Foundation. You may not reproduce, create derivative works of, distribute, publicly perform or publicly display the Site Materials or any portion thereof without the Foundation’s prior written consent. By way of illustration but not limitation, except as expressly permitted in this User Agreement or otherwise permitted by us in writing, you may not, directly or indirectly, transmit, download, upload, post, sell, rent, license, transfer, disclose, mirror, frame, reverse engineer, decompile, disassemble, or use any aspect of this Site or any Site Materials (including, but not limited to, any Ratings), in whole or in part, in any form or by any means. Also by way of illustration but not limitation, except as expressly permitted in this User Agreement or otherwise permitted by us in writing, you may not, directly or indirectly, use any of the Healthcare Provider Directory listings for any purposes other than your personal, non-commercial evaluation of Healthcare Providers, to compile mailing lists or other lists of Healthcare Providers for commercial purposes, to establish independent data files or compendiums of statistical information or in violation of any applicable laws or regulations. Additionally, you may not use any metatags or any other “hidden text” utilizing the name “Celiac Disease Foundation” or “CDF” without our prior written permission. The contents of the Site, such as text, graphics, images, information, and other material contained on the Site (“Content”) are for informational purposes only. The Content is not intended to be a substitute for professional medical advice, diagnosis, or treatment. Always seek the advice of your physician or other qualified health provider with any questions you may have regarding a medical condition. Never disregard professional medical advice or delay in seeking it because of something you have read on the Site. The Foundation does not recommend or endorse any specific tests, products, procedures, opinions, or other information that may be mentioned on the Site. Reliance on any information provided by the Foundation, Foundation employees or volunteers, others appearing on the Site at the invitation of the Foundation, or other visitors to the Site is solely at your own risk. The Celiac Disease Foundation is not a referral service and does not recommend or endorse any particular healthcare provider or practitioner. Rather, the Foundation is only an intermediary that provides selected information about Healthcare Providers. We do not offer advice regarding the quality or suitability of any particular Healthcare Provider for specific treatments or health conditions, and no information on this Site should be construed as health or medical advice. The selected Healthcare Provider information consists of information obtained through primary source verification of state medical license or certification, that submitted by the Healthcare Provider, or other publically available information. This information is not to be used as a recommendation to utilize the services of any specific healthcare provider or practitioner. You should obtain any additional information necessary to make an informed decision prior to utilizing any specific Healthcare Provider. You assume all responsibility in connection with choosing any healthcare provider or practitioner, whether or not you obtained information about such Healthcare Provider on or through this Site. The Foundation and its licensors, suppliers and affiliates (collectively, the “Affiliates“), and the directors, officers, agents, and representatives of each, assume no (and hereby disclaims all) responsibility or liability of any kind, for any advice, treatment or other services rendered by any healthcare provider or practitioner, or for any malpractice claims and other claims that may arise directly or indirectly from any such advice, treatment or other services. The use of the Site by any entity or individual to verify the credentials of Healthcare Providers is prohibited. 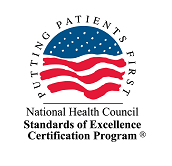 The database of Healthcare Provider information which drives the Site does not contain sufficient information with which to verify Healthcare Provider credentials under the standards of the Joint Commission on Accreditation of Healthcare Organizations (JCAHO), National Committee for Quality Assurance (NCQA) of the Utilization Review Accreditation Committee (URAC). All uses of the Celiac Disease Foundation’s federally registered and common law trademarks, service marks and trade names, including but not limited to those listed below, must be approved in writing by the Foundation. You further acknowledge that other names and logos contained in this Site or in the Site Materials are trademarks and service marks of third parties and may not be used without the permission of the trademark or service mark owner. Consider Celiac. Request the Test. Is Your Patient the One? The works of authorship contained in this Site, including but not limited to the Site Materials, are owned or licensed by the Foundation and may not be copied, reproduced, transmitted, displayed, performed, distributed, rented, sublicensed, altered, stored by subsequent use, or otherwise used in whole or in part in any manner without our prior written consent. Unless permitted otherwise in writing, you may only access the Materials located within the Site for your personal use. This means you may download copies of Materials for personal, noncommercial use only, so long as you neither change nor delete any author attribution, trademark, legend or copyright notice. When you download Materials, you do not obtain any ownership rights to the Materials. the Foundation reserves the right to revoke its consent to the link at any time in its sole discretion by amending these Terms and Conditions. You acknowledge and agree that you are responsible for keeping up with any such changes. All other hypertext links to this Site must be approved in writing by the Foundation. To inquire, please complete our Contact Form. Use of a hypertext link does not indicate or create any endorsement, approval, sponsorship or affiliation of or with your website by the Foundation. This permission to link is provided without warranties of any kind, express or implied, including without limitation, warranties of title of non-infringement. Or you may fill out our Contact Form.